Public art in Mingjian Township, Nantou County. 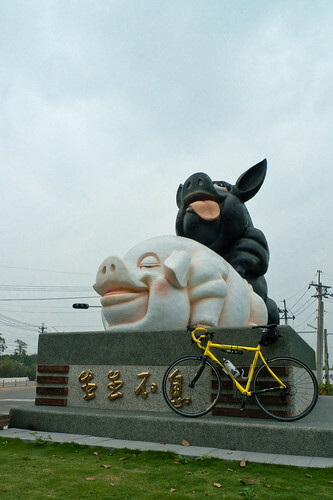 We have County Governor Lee Chao-ching to thank for this classy monument on Provincial HWY #3.
ahah that’s hilarious. I’d love to ride past something like that on the way to work everyday!